CERF (eyes): Normal, Pra clear via parentage. Wallace/OFA hips Excellent, elbows normal. Normal Cardiac and Patellas, VWD clear via parentage. 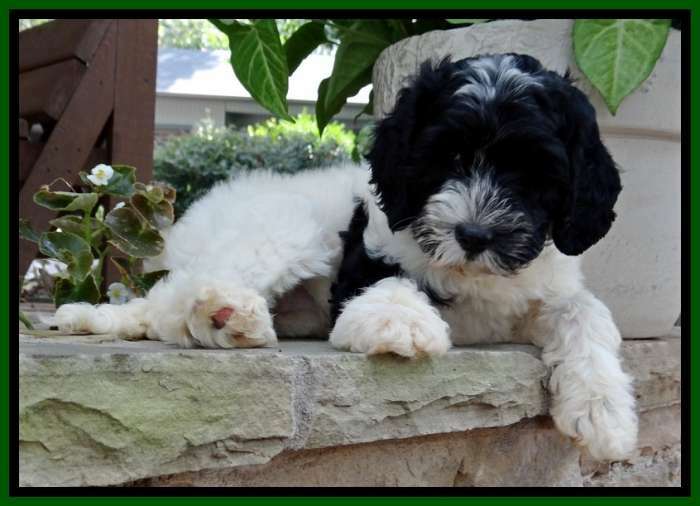 Paris is a dramtically marked, black and white fleece parti labradoodle. 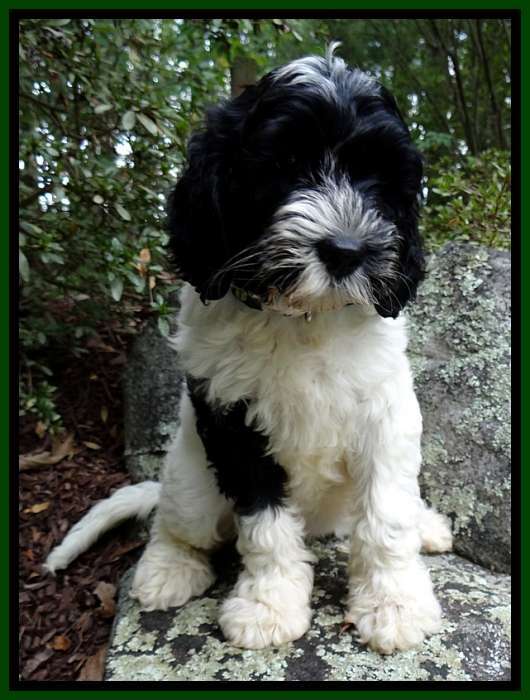 She is out of my boy Brutus and Whisper from Kingdom Labradoodles in Florida. 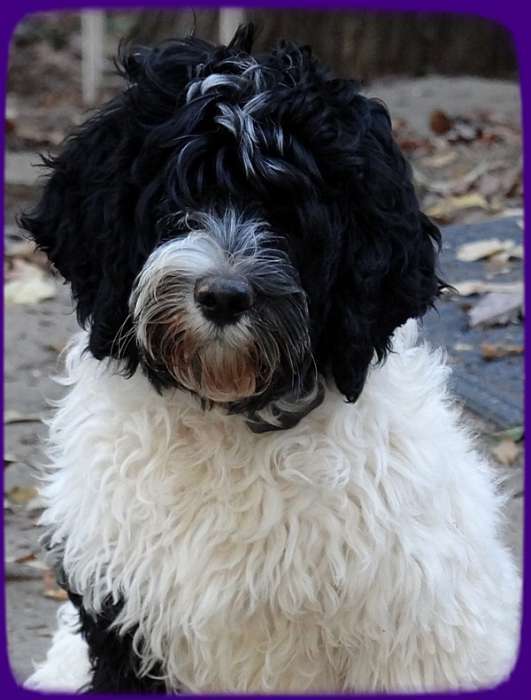 She is very athletic and loves to run the property with her best buddy Bess. Inside she is an absolute love, very obeident and never has gotten into anything even as a puppy that she wasnt told she could have!